World Biz Express is now iQuanti, Inc.
4 March, 2013: Digital marketing agency World Biz Express announced today that it is changing its name, and with this change, establishing a new brand identity: iQuanti, Inc. A Data Driven Agency, the new brand is a precise reflection of where the agency’s focus lies: using Big Data to deliver digital analytics and drive better digital performance. As digital data proliferates, businesses are looking for specialized agencies to help in both collecting and analyzing massive amounts of data to deliver meaningful insights. iQuanti has developed a set of proprietary products that meet these needs and deliver tangible, meaningful value for digital marketers across a variety of channels. Unlike traditional digital agencies, iQuanti is staffed with highly-skilled engineers and statisticians; 90% of the iQuanti staff has engineering degrees. The company has already signed up five Fortune 100 clients and is one of the fastest growing agencies in the US. “We are about helping companies realize the promise of digital marketing by using data more meaningfully,” said Vish Sastry, CEO of iQuanti, Inc., “and the name iQuanti reflects our core focus on data and digital”. 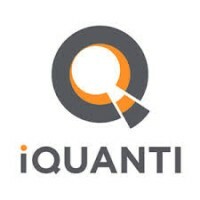 iQuanti’s services span a variety of online channels including display, social, SEO/SEM, mobile, and video, while leveraging sophisticated analytics including behavioral insights, pathing and segmentation analysis and other advanced data mining and statistical modeling applications. iQuanti, Inc. is an independent, industry-leading Data Driven Digital Agency, focused on delivering superior ROI. With the ability to offer a complete portfolio of digital solutions, iQuanti draws upon its unique approach to using data as the guide and foundation to any of its engagements. Over the years, the agency has helped numerous Fortune 100 companies achieve superior ROI in their digital marketing efforts. Headquartered in Hoboken, NJ, the agency has offices in Chicago and Bangalore. Learn more at iquanti.com.